Has four children, three daughters and a son. His .248 averaged marked his highest figure since 2014 with SF (.279)...Placed on the 10-day injured list on July 30 with a right hamstring strain suffered while scoring on a sacrifice fly on July 29...transferred to the 60-day injured list and had season-ending surgery on August 7... Saw action at first base (24 games), second base (two games) and third base (36 games)...Batted .323 (20-for-62) with runners in scoring position and was 7-for-11 (.636) with the bases loaded...Made his first start of the season on April 4 vs. Seattle and hit his first home run of the year, a three-run "Splash Hit" homer...marked his eighth career "Splash Hit" home run and first since May 12, 2013 vs. Atlanta...Came in to pitch the 9th inning in Game 1 of a doubleheader vs. Los Angeles-NL on April 28...induced three groundouts in a 1-2-3 inning...was the fourth position player to pitch in the SF Giants era and first since Greg Litton did so on July 4, 1991 vs. Houston...Connected on his first career pinch-hit homer on May 8 at Philadelphia...Made his first career start (second career appearance) at second base on May 27 at Chicago-NL...Hit just his 20th career home run off of a left-handed pitcher on June 18 vs. Miami (off Caleb Smith)...Went 3-for-5 and drove in a season-high five runs on July 8 vs. St. Louis...his five RBI marked the most by a Giant in a single game in 2018...Collected his fourth career game-ending hit with his walkoff RBI single on July 9 vs. Chicago-NL...marked his first walk-off hit that was not a home run. Appeared in 47 games with the Giants, hitting .225 with five home runs and 20 RBI...Was released by Boston on July 19 and signed a minor league contract with the Giants on July 22...Had his contract purchased by SF from triple-A Sacramento on Aug. 5...Hit .212 (21-for-99) with four homers in 32 games with the Red Sox...While with Boston, he missed 31 games with a right knee sprain and 19 games with a left inner ear infection...Had a 39 at-bat hitless drought from Aug. 25-Sept. 8, which marked the longest hitless streak of his career and the longest by a Giants position player since 1900...Slugged his third-career walk-off home run in the 9th inning in the final game of the season against San Diego to give SF a 5-4 win...Hit .207 (6-for-29) with one home run in nine games for triple-A Sacramento. Limited to 3 games due to a shoulder injury...Underwent successful surgery to repair a torn labrum in his left shoulder on 5/3. Transferred to the 60-day DL on 5/6 and missed the remainder of the season. Dr. James Andrews performed the surgery in Pensacola, FL. Appeared in 3 games and made 1 start before being placed on the 15-day disabled list on 4/13 (retroactive to 4/11) with a left shoulder strain. Played 126 games in his 1st season with the Red Sox. Batted exclusively left-handed beginning with a pinch-hit single in the 8th inning on 5/24 vs. LAA...From that date on, hit .255 (27-for-106) against southpaws...Prior to that point, had been 2-for-41 off left-handers. Hit .312 (24-for-77) in 20 April games with a .398 OBP, his best in any single month since September 2013 (.410). Batted .288 (62-for-215) with 21 of his 36 XBH in 60 home games compared to a .208 AVG (53-for-255) on the road...Slugged .461 at home from 7/26 on, going 21-for-76 with 8 2B and 2 HR. Hit .328 (22-for-67) on the 1st pitch of his plate appearances. Made his Fenway Park debut on 4/13 vs. WSH, going 2-for-4 with a run scored in BOS' 9-4 win over WSH. Hit a solo shot in the 11th inning on 5/11 at OAK for the deciding run...Was his 5th career extra-inning HR, tied for 5th most in MLB since the start of 2009...In that time, only Nelson Cruz (9), Brian McCann (9), Matt Kemp (6), and Albert Pujols (6) have hit more HR in extras. Had 2 hits in 6 consecutive games from 6/13-19...Marked the longest multi-hit streak of his career and the longest by a Red Sox all season. On 6/15 vs. ATL, recorded both his 200th career double in the 7th inning and his 1,000th career hit with a 2-out double in the 9th. 15 of his last 31 hits beginning 7/27 went for extra bases (12 2B, 3 HR). Homered off Felix Hernandez in each of the right-hander's 2 starts against BOS, 5/16 in SEA and 8/15 in BOS. Ejected by HP umpire John Hirschbeck in the 8th inning on 8/28 at NYM, his 1st career ejection. Played in just 1 of the Red Sox' last 17 games beginning 9/18 due to illness that resulted in pneumonia...In his last game, 9/20 at TOR, scored the deciding run on an 8th-inning sac fly by Jackie Bradley Jr.
Won 3rd World Series championship in final season with the Giants...Hit .279 with 26 2B, 3 3B, 16 HR, and 73 RBI while setting career highs with 157 games and 153 starts...Tied for the team lead with 14 game-winning RBI (also Buster Posey)...His 22 go-ahead RBI fell 1 shy of Posey for the team high...Had a .317 AVG (126-for-397) against righties, 4th best among National Leaguers...Was the 9th-hardest National Leaguer to strike out (7.5 PA/SO)...Hit .336 (50-for-149) when leading off an inning, 10th best in the NL...Spent majority of season as Giants' No. 4 hitter, batting .310 (114-for-368) in 95 starts in that spot in the batting order...Also started 3rd (31), 5th (17), and 6th (11) in the lineup...Placed 3rd among National League 3B with a .971 fielding percentage...Posted a career-long 73-game errorless streak from 5/25-8/22...Hit over .300 in 4 consecutive months: .312 in May, .301 in June, .311 in July, and .336 in August...Over his last 126 games beginning on 5/7, had the NL's 5th-most hits (145) and 8th-best AVG (.306)...Hit 6 HR in May, his most in any month since September 2011 (7 HR)...All 6 came within an 11-game span from 5/18-29...Homered in back-to-back games from 5/23-24 vs. MIN, as well as an NL-leading 5 HR in 8 games from 5/18-26...Had an RBI in a career-high 9 straight games from 5/21-29, the longest streak in the majors all year and the longest by a Giant since Barry Bonds' 9-gamer in September 2000...Totaled an NL-high 15 RBI during that time...POSTSEASON: Helped the Giants to the 2014 World Series title, batting .366 with 7 2B, 5 RBI, and 5 BB...Started all 17 of SF's postseason games and reached safely in 16 of them...Set an all-time record for any single postseason with 26 hits...Went 2-for-4 with a BB in an 8-0 Wild Card win at PIT...Was 4-for-19 (.211) in the 4-game NLDS against WSH...Sent Game 2 of the NLDS to extras with a 2-out RBI double that ended the top of the 9th (Buster Posey out at home) in a game that SF won in 18 innings, 2-1...Had a hit in all 5 NLCS games against STL (.400, 8-for-20)...Had the Giants' only XBH (2B) in a 3-0 win over Adam Wainwright in NLCS Game 1...In NLCS Game 5 clincher, singled to open the bottom of the 9th inning and was pinch-run for by Joaquin Arias, who scored the go-ahead run on Travis Ishikawa's game-ending 3-run HR...Batted .429 (12-for-28) with multiple hits in 4 of the 7 games of the World Series against KC...Drove in the 1st run of the WS with an RBI double in the top of the 1st inning against James Shields, his 1st of 2 RBI hits in Game 1 at KC...Had a streak of reaching base safely in 25 consecutive postseason games snapped in Game 3 of the WS (0-for-4)...Unknotted a 4-4 tie in World Series Game 4 with a 2-run single in the 6th inning, providing the winning run in an eventual 11-4 SF victory...Reached in all 4 PA in Game 7 of the WS (3-for-3, 2B, HBP)...Scored the game's 1st run on a sac fly in the 2nd inning. Appeared in 141 games, making 137 starts (all at third base) and batted .278 (146-for-525) with 27 doubles, 14 HRs and 79 RBI. Played for Team Venezuela in the World Baseball Classic and batted .308 (4-for-13) with one home run and four RBI in three games. His 18 errors at third base were for the third-most in the Majors. Hit .354 (51-for-144) with runners in scoring position, the seventh-highest clip in the NL. Missed 13 games in spring with ulnar neuritis, an inflammation of the nerve that runs through the elbow...an MRI exam also showed a bone spur in the back of his elbow. Made his fifth career Opening Day roster with the Giants. Slugged a game-winning two-run homer in the 9th inning on April 30 at Arizona off closer J.J. Putz...marked his 11th career HR in the 9th inning or later. Hit .333 in April and is a career .327 hitter in the month, his highest average of any month. Ended April with 35 hits, tied with the Pirate's Starling Marte for the most in the NL and it also set a Giants franchise record (since 1900) for the most hits in April (Elias). Recorded his second career game-ending home run on May 21 vs. Washington, hitting a two-run shot off RHP Yunesky Maya to give the Giants a 4-2 win in the 10th inning...according to ESPN Stats Info, Sandoval's homer was calculated at 464 feet, the longest of his career. Missed four games with a left foot strain, suffered in the 8th inning of the Giants-A's game on May 30...was removed from the game on June 8 at Arizona and eventually put on the 15-day disabled list on June 11 with the injury, which was described as a perineal tendon strain. Reached base safely in all six plate appearances on Aug. 16 at Miami, as he went 4-for-4 with two walks...the last Giants hitter to reach base in each PA (min 6 PA) was Nate Schierholtz, who achieved the feat on April 28, 2010, against the Phillies. Recorded his second career three HR game Sept. 4 at San Diego (also: Game 1 of WS vs. DET last season). Became just the sixth player in MLB history to have a three-homer performance in both the regular and postseason in his career...of the other five players, two are active (Albert Pujols, Adrian Beltre) and three are in the Hall of Fame (Babe Ruth, George Brett, Reggie Jackson). Became the first reigning World Series MVP in MLB History to hit three homers in a game the following season (WS MVP first awarded in 1955). The two-time NL All-Star completed his fifth season with the Giants, batting .283 (112-for-396) with 59 runs, 25 2Bs, 12 HRs and 63 RBI in 108 games...Missed a total of 53 games due to a left hamate fracture and strained left hamstring...therefore, he posted career lows in nearly every offensive category...Made 105 starts (101 at third base, two at first, two as DH)...Began the year with a 20-game hit streak, tied for the 13th-longest hit streak to begin a season since 1876...he became just the third SF Giant with two separate 20+ game streaks, joining Mays and McCovey...Was named to his second-consecutive All-Star team being selected by the fans as the NL starting third baseman...garnered 5,743,542 votes, displacing New York Mets third baseman David Wright (4,133,380) after surging in the final week to make up a deficit of nearly 465,000 votes...Became the second Giants third baseman to earn a fanelectedstart, joining Matt Williams (1994-96)...Hit the first bases-loaded triple in All-Star Game history on July 10 at Kansas City...became only the third player in ASG history to come to the plate with the bases loaded and drive in all three men on base...the other two were Fred Lynn (1983) and Brian McCann (2010)...Left the game on July 24 vs. San Diego in the third inningafter suffering a left hamstring strain after stretching at first base on a throw from shortstop Brandon Crawford to complete a double play...sat out the next two games before being placed on the disabled list on July 28...Homered from both sides of the plate for the first timein his career on Sept. 20 vs. Colorado...hit a solo HR off LHP Jorge De La Rosa in the 1st inning, then a three-run shot off RHP Edgmer Escalona in the Giants' six-run 4th inning...became the sixth Giants player in SF-era history to homer from both sides of the plate in a game, joining Chili Davis, Kevin Bass, Todd Benzinger, Ray Durham and Randy Winn.POSTSEASON HIGHLIGHTSCapped a spectacular postseason with earning the World Series MVP award...overall, hit .364 (24-for-66) with six HRs and 13 RBI in 16 games...Most of his postseason highlights came in the WorldSeries, where he went 8-for-16 (.500) with three homers and four RBI to help the Giants to a four-game sweep of the Tigers...His .500 average tied for ninth all-time for a single Fall Classic (minimum 15 at-bats) behind only Babe Ruth (.625, 1928 Yankees), Chris Sabo (.563, 1990 Reds), Johnny Bench (.533, 1976 Reds), Deion Sanders (.533, 1992 Braves), Sean Casey (.529, 2006 Tigers), Lou Gehrig (.529, 1932 Yankees), Dane Iorg (.529, 1982 Cardinals) and Thurman Munson (.529, 1976 Yankees)...Became the second player in Giants history to win a World Series MVP, joining Edgar Renteria (2010)...the awardwas first given out in 1955, the year after the Giants last World Championship prior to 2010...Also became the first-ever Venezuelan-born World Series Most Valuable Player...Became the 10th third baseman in history, and the secondstraight, to win World Series MVP, joining Baltimore's Brooks Robinson (1970), Cincinnati's Pete Rose (1975), Philadelphia's Mike Schmidt (1980), Ron Cey (1981) of the Dodgers, Ray Knight (1986) of the Mets, Scott Brosius (1998) of the Yankees, Anaheim's Troy Glaus (2002), Boston's Mike Lowell (2007) and David Freese (2011) of the Cardinals...With 24 hits in the postseason, he finished just one hit shy of the all-time single Postseason record of 25 set by Marquis Grissom (1995 Braves), Darin Erstad (2002Angels) and David Freese (2011 Cardinals)...Sandoval is the Giants all-time leader for hits in a single Postseason, eclipsing J.T. Snow, who had 22 hits for San Francisco in 2002...With six home runs in his postseason career, Sandoval tied with Rich Aurilia (2002) for the second-most in franchise history for a single postseason behind only Barry Bonds (eight in 2002)...Made Major League history in Game 1 of the World Series after hitting home runs in each of his first threeplate appearances...it was just the fifth three-homer game in World Series history, joining Babe Ruth (1926 Game 4 and 1928 Game 4), Reggie Jackson (1977 Game 6) and Albert Pujols (2011 Game 5)...Overall, it was the ninth three-homer game in Postseason history...Sandoval became the third player in Giants history to record a multi-homer game in World Series history, joining Benny Kauff (Game 4, 1917) and Jeff Kent (Game 5, 2002)...He was the second Giants player to homer in the first inning of an opening Fall Classic game, joining Hall of Famer Mel Ott, who did so in 1933 against the Washington Senators...Sandoval was just the fourth Venezuelan-born player to homer in World Series history, joining Dave Concepcion (1975 Game 3), Miguel Cabrera (2003 Game 4), and Alex Gonzalez (2003 Game 4)...He collected at least one RBI in six straight postseason games becoming the ninth player in history to accomplish that, joining Alex Rodriguez (eight in 2007-09), Ryan Howard (eight in 2009), Lou Gehrig (eight from 1928-32), Bill Skowron (seven from 1958-60), Clyde Barnhart (seven from 1925-27), Ivan Rodriguez (six in 2003), Bernie Williams (six in 1996) and Tony Perez (six from 1975-76). Was by far San Francisco's best offensive player in 2011, hitting .315 (134-for-426) with 26 2Bs, 23HRs and 70 RBI in 117 games in his 4th season with Giants ... Was named by NL All-Star manager Bruce Bochy to his 1stcareer All-Star team, joining teammates Matt Cain, TimLincecum, Ryan Vogelsong and Brian Wilson on NL roster ... Led team in runs scored (55), hits, HRs, RBI and multi-hitgames (34), even after missing 40 games with hand injury ... Switch-hitter batted .324 (107-for-330) against righthanders,which was 4th-highest clip in NL among playerswith at least 330 plate appearances...only NYM's JoseReyes (.341), MIL's Ryan Braun (.327) and NYM's DanielMurphy (.326) had higher averages ... His 27 go-ahead RBI was tied for 8th-most in NL and his13 game-winning RBI was tied for 11th-best ... Posted longest hitting streak of his career and 6th-longesthit streak in National League in 2011, hitting safely in22-consecutive games from June 19-July 14...streak waslongest by Giants player since Willie McCovey and AlvinDark both hit safely in 22-straight in 1959 and 1952,respectively ... Sandoval's 22-game hit streak was also 4th-longest byVenezuelan-born player in ML history...Victor Martinezholds record with 25-game streak in 2009 with Boston ... Was diagnosed with fractured hamate bone in his righthand on April 30 and was placed on 15-day DL on May1...injured hand while swinging bat in game on April 29 atWashington ... Had successful surgery in Arizona on May 3 with Dr. DonSheridan performing procedure ... After missing nearly 6 weeks, began rehab assignmentplaying 1 game at Class A Advanced San Jose and andthen in 5 games with triple-A Fresno...was reinstated fromdisabled list on June 14. Had at least 1 extra-base hit in 9-straight contests fromJune 26-July 4, tying 2nd-longest such streak in Majorsin 2011 (Justin Upton had 10)...Sandoval's streak ofconsecutive games with an extra-base hit was longest forany Giants player since Willie Mays had 9-game streakin 1963...since 1900, only one Giants player had an extrabase hit in 10-straight games: Willie Mays (10-straightfrom May 23-June 3, 1954) (Elias) ... Hit his 5th career "Splash Hit" and his 1st of season offSan Diego reliever Ernesto Frieri in 6th inning on July 4 atAT&T Park ... Was named to his 1st career All-Star team by MGR BruceBochy, one week after teams were announced...replacedMets' SS Jose Reyes, who was on DL...became 1st Giantsposition player to be chosen to Mid-Summer Classic sinceBarry Bonds in 2007 ... Replaced All-Star starter Scott Rolen at 3rd base in6th inning and went 1-for-1 with an RBI-2B in his loneplate appearance ... Faced left-handed pitcher Sergio Escalona while battingfrom left side of plate on Aug. 20 at Houston...marked 1sttime he had ever faced lefty while batting left-handed...struck out with his bat flailing from his hands...swungthis way due to inflammation in his left shoulder and couldnot swing right-handed...faced Escalona again next dayand struck out with runners on 1st and 2nd and 2 outs ... Belted pair of solo HRs on Sept. 5 at San Diego...marked3rd time in his career to have multi-HR game ... Hit for cycle on Sept. 15 at Colorado...with 3B in 6thinning, he became 26th Giant - and 10th in club's SanFrancisco era - to hit for cycle...Sandoval hit 2-run homerun in 1st inning, singled in 2nd, doubled in 5th andthen hit drive off base of wall in right-center field, bellyfloppinginto 3rd base well ahead of throw to achieve feat ... Prior to Sandoval, last Giant to hit for cycle was FredLewis, who did it on Mother's Day, 2007, also at CoorsField ... Recorded his 2nd multi-HR game of season and 4th ofhis career on Sept. 18 at Colorado...both of his HRs camein Giants' 8-run 4th inning...became 1st Giants player tohomer twice in one inning since Juan Uribe accomplishedfeat on Sept. 23, 2010 at Chicago-NL...Sandoval finishedgame with career-best 11 total bases as he also tripled ... Was named NL Player of Week for 1st time in his careerfor week of Sept. 12-18...hit .440 (11-for-25) with 2B, 23Bs, 4 HRs, 10 RBI ... Finished month of Sept. ranking 1st in NL with .784 sluggingpct., 2nd with .378 avg. and tied for 4th with 7 HRs ... Battled with inflammation in his left shoulder over final6 weeks of season and felt pain when he swung righthanded...saw limited playing time against left-handedpitchers, starting just 4 of 10 games in Sept. in which SFfaced LH starter.Had at least 1 extra-base hit in 9-straight contests fromJune 26-July 4, tying 2nd-longest such streak in Majorsin 2011 (Justin Upton had 10)...Sandoval's streak ofconsecutive games with an extra-base hit was longest forany Giants player since Willie Mays had 9-game streakin 1963...since 1900, only one Giants player had an extrabase hit in 10-straight games: Willie Mays (10-straightfrom May 23-June 3, 1954) (Elias) ... Hit his 5th career "Splash Hit" and his 1st of season offSan Diego reliever Ernesto Frieri in 6th inning on July 4 atAT&T Park ... Was named to his 1st career All-Star team by MGR BruceBochy, one week after teams were announced...replacedMets' SS Jose Reyes, who was on DL...became 1st Giantsposition player to be chosen to Mid-Summer Classic sinceBarry Bonds in 2007 ... Replaced All-Star starter Scott Rolen at 3rd base in6th inning and went 1-for-1 with an RBI-2B in his loneplate appearance ... Faced left-handed pitcher Sergio Escalona while battingfrom left side of plate on Aug. 20 at Houston...marked 1sttime he had ever faced lefty while batting left-handed...struck out with his bat flailing from his hands...swungthis way due to inflammation in his left shoulder and couldnot swing right-handed...faced Escalona again next dayand struck out with runners on 1st and 2nd and 2 outs ... Belted pair of solo HRs on Sept. 5 at San Diego...marked3rd time in his career to have multi-HR game ... Hit for cycle on Sept. 15 at Colorado...with 3B in 6thinning, he became 26th Giant - and 10th in club's SanFrancisco era - to hit for cycle...Sandoval hit 2-run homerun in 1st inning, singled in 2nd, doubled in 5th andthen hit drive off base of wall in right-center field, bellyfloppinginto 3rd base well ahead of throw to achieve feat ... Prior to Sandoval, last Giant to hit for cycle was FredLewis, who did it on Mother's Day, 2007, also at CoorsField ... Recorded his 2nd multi-HR game of season and 4th ofhis career on Sept. 18 at Colorado...both of his HRs camein Giants' 8-run 4th inning...became 1st Giants player tohomer twice in one inning since Juan Uribe accomplishedfeat on Sept. 23, 2010 at Chicago-NL...Sandoval finishedgame with career-best 11 total bases as he also tripled ... Was named NL Player of Week for 1st time in his careerfor week of Sept. 12-18...hit .440 (11-for-25) with 2B, 23Bs, 4 HRs, 10 RBI ... Finished month of Sept. ranking 1st in NL with .784 sluggingpct., 2nd with .378 avg. and tied for 4th with 7 HRs ... Battled with inflammation in his left shoulder over final6 weeks of season and felt pain when he swung righthanded...saw limited playing time against left-handedpitchers, starting just 4 of 10 games in Sept. in which SFfaced LH starter. After batting .330 with 25 HRs and 90 RBI in 2009, Sandoval struggled in his 2nd full big league season, batting just .268 (151-for-563) with 34 2Bs, 13 HRs and 63 RBI in 152 games ... In 2009, switch-hitter batted .314 as left-handed hitter and .379 as righty, however in 2010, batted just .282 (119-for-422) from left-side and .227 (32-for-141) from right ... His batting average on balls in play slid from .367 in 2008 to .353 in 2009 to .294 in 2010 ... Sandoval's year-by-year batting average with runners in scoring position: in 2008, .395 (in 38 at-bats); in 2009, .301 (in 143 ABs); in 2010, .208 (27-for-130)...finished season by going just 3-for-15 (.200) with RISP over his last 30 games...batted .182 (10-for-55) with RISP/2 outs ... Had staggering home/road splits, hitting .330 (92-for-279) with 9 HRs and 40 RBI in 76 games at AT&T Park, which ranked as 6th-highest home average among NL players, behind Colorado's Carlos Gonzalez (.380), Atlanta's Martin Prado (.353), Chicago's Starlin Castro (.340), Colorado's Troy Tulowitzki (.339) and St. Louis' Albert Pujols (.335) ... Struggled on road, batting 122 points lower at .208 clip (59-for-284) with 4 HRs and 23 RBI, which was 3rd-lowest road batting clip in NL, behind only Arizona's Mark Reynolds (.181) and Chicago's Aramis Ramirez (.201)...had largest difference in batting average at home vs. road among all MLB qualifiers (STATS, LLC) ... Grounded into NL-leading 26 double-plays (grounded into only 10 in 2009), 1 shy of A.J. Pierzynski's franchise record of 27 GIDP's in 2004 ... Hit .370 (37-for-100) on 1st pitch ... Averaged just 3.42 pitches per plate appearance (3.40 in his career) for 3rd-lowest avg. in NL, behind Cincinnati's Orlando Cabrera (3.35) and Houston's Carlos Lee (3.42) ... Started 146 of 162 games (136 at 3rd base and 10 at 1st base)...fashioned .961 (13err, 334tc) fielding pct. at 3rd base, which was 5th-highest mark in NL ... Made his 2nd career Opening Day roster as well as his 2nd consecutive Opening Day start ... Began season on hot note, hitting safely in his 1st 8 games and finishing month of April with .368 batting avg. (32-for-87), 4th-highest in NL, behind Manny Ramirez (.415), Ivan Rodriguez (.413) and teammate Nate Schierholtz (.375) ... However, avg. took hit over next 3 months, as he hit just .233 (70-for-300) from May-July...hit .312 (34-for-109) in month of Aug. for 2nd-highest clip on team (behind Freddy Sanchez, .356), but finished Sept./Oct. by hitting just .244 (15-for-67) ... Left game on May 14 against Astros in 8th inning after getting hit on left foot by pitch from Jeff Fulchino...X-rays came back negative...Sandoval had started every one of SF's 34 games and had played in all of club's 310.1 defensive innings before sitting out...received 1st off day following game vs. Houston to rest sore foot ... Was dropped from 3rd spot in order to 8th on June 5 at Pittsburgh, marking just 2nd time in his career to hit 8th ... Was part of back-to-back home runs with Pat Burrell on Aug. 12 vs. Chicago-NL...followed Burrell's solo shot off Randy Wells with his 3rd career "Splash Hit" and 1st in 2010...that home run snapped 178 at-bat homerless drought, which was longest of his career ... Hit his 2nd homer in 3 games, after going 46 contests (and career-long 178 at-bats) without one on Aug. 14 vs. San Diego, hitting solo shot off RHP Mat Latos in 7th inning to give Giants their 1st run in game in their 3-2 win in 11 innings...Sandoval's solo shot was fastball that he hit at chin level and one-hopped into McCovey Cove ... Hammered his 1st home run of season off left-handed pitcher on Aug. 19 at Philadelphia, hitting solo shot off Cole Hamels in 4th inning to extend San Francisco's lead to 5-0...it came in his 122nd at-bat from right side of plate. POSTSEASON HIGHLIGHTSBatted .176 (3-for-17) with 2 RBI in 6 postseason contests ... Started 5 of 15 games (4 at 3rd base, 1 as DH) ... Had his biggest at-bat of postseason in Game 4 of LCS vs. Philadelphia on Oct. 20, driving in pair of go-ahead runs with 2B in 6th inning to help stake Giants to 5-4 lead in their 6-5 victory. Posted by far his best season and was one of best of any Giants farmhand in2008...rewarded for his success, making his big league debut in mid-Aug...moved quickly throughranks, beginning season at single-A and finishing as one of Giants' major run producers...in limitedbig league action, batted .345 (50-for-145) with 24 runs, 10 2Bs, 3B, 3 HRs and 24 RBI in 41games for San Francisco...collected 18 multi-hit contests, tied for 9th-most among NL rookies...hit .395 (15-for-38) with 22 RBI with RISP...logged .368 mark (28-for-76) on road, hitting safelyin 15 of 20 road contests with 12 multi-hit games...started 34 contests (13 at 1B, 12 at 3B, 9 at C),with Giants going 17-17 in his starts...had his contract purchased from double-A Connecticut Aug.13 and made his Major League debut Aug. 14 at Houston (start at C), going 0-for-3 with 1st RBIcoming on sacrifice fly...following debut, recorded hits in each of his next 9 games, going 15-for-33 (.455) during season-high 9-game hit streak...recorded his 1st ML hit Aug. 16 at Atlanta withsingle off LHP Mike Hampton...hit 1st career HR Aug. 27 vs. Colorado off RHP Livan Hernandezin 7th inning, giving SF 2-1 cushion...clout was part of back-to-back HRs with Bengie Molina...led all ML rookies in batting avg. in Aug. with .393 clip, 11 points higher than next closest player(Joey Votto of Cincinnati - .382)...also finished month with .554 slugging pct., 3rd-highest amongNL rookies...recorded career-high 5 RBI Sept. 7 vs. Pittsburgh, going 2-for-3 with run, 2B andpair of sacrifice flies...had 4 of those RBI in Giants' 10-run 4th inning...became 1st Giants rookieto collect 5-RBI contest since Damon Minor in 2002...slugged 3rd career HR Sept. 12 vs. Padres,solo shot in 4th inning (off RHP Jake Peavy)...scored go-ahead run on wild pitch by Dirk HayhurstSept. 14 at SD in 10th inning, giving Giants 8-6 victory...beginning Aug. 14, ranked among NLleaders in avg. (7th) and hits (9th)...suffered sore left quadriceps Sept. 19 at Los Angeles-NL andstarted just 4 of SF's last 8 games...prior to getting big league call, combined to hit .350 (157-for-448) with 90 runs, 38 2Bs, 2 3Bs, 20 HRs, 96 RBI and .578 slugging mark over 112 games betweensingle-A San Jose and double-A Connecticut...was named Giants' Minor League Player of Year forhis efforts, 1st time that club has handed out award...at time of his promotion, ranked 7th amongall minor leaguers for avg., while ranking 4th for total bases (259) and 8th for RBI...did end upfinishing 12th overall among all minor league players in avg...was member of World Team forFutures Game at Yankee Stadium...appeared at 1B and went 0-for-1 with an RBI and BB in World's3-0 victory over U.S. Team...started '08 season at single-A, batting .359 (98-for-273) with 61 runs,25 2Bs, 2 3Bs, 12 HRs and 59 RBI in 68 games...was named to California League in-season All-Starteam...was promoted to double-A June 25 and batted .337 (59-for-175) with 29 runs, 13 2Bs, 8 HRsand 37 RBI in 44 games for Defenders...had season-best 15-game hitting streak July 6-23, batting.408 (29-for-71)...received Eastern League Player of Week honors for July 21-27 after batting .417(10-for-24) with 4 runs, 2 2Bs, 2 HRs and 12 RBI. October 29, 2018 San Francisco Giants activated 3B Pablo Sandoval from the 60-day injured list. August 18, 2018 San Francisco Giants transferred 3B Pablo Sandoval from the 10-day disabled list to the 60-day disabled list. Right hamstring strain. July 30, 2018 San Francisco Giants placed 3B Pablo Sandoval on the 10-day disabled list. Right hamstring strain. August 5, 2017 San Francisco Giants selected the contract of 3B Pablo Sandoval from Sacramento River Cats. July 25, 2017 3B Pablo Sandoval assigned to Sacramento River Cats from San Jose Giants. July 22, 2017 San Francisco Giants signed free agent 3B Pablo Sandoval to a minor league contract. July 22, 2017 3B Pablo Sandoval assigned to San Jose Giants. July 19, 2017 Boston Red Sox released 3B Pablo Sandoval. July 14, 2017 Boston Red Sox designated 3B Pablo Sandoval for assignment. July 14, 2017 Boston Red Sox activated 3B Pablo Sandoval from the 10-day disabled list. June 27, 2017 Boston Red Sox sent 3B Pablo Sandoval on a rehab assignment to Pawtucket Red Sox. June 20, 2017 Boston Red Sox placed 3B Pablo Sandoval on the 10-day disabled list. Left inner ear infection. May 30, 2017 Boston Red Sox activated 3B Pablo Sandoval from the 10-day disabled list. May 19, 2017 Boston Red Sox sent 3B Pablo Sandoval on a rehab assignment to Pawtucket Red Sox. April 25, 2017 Boston Red Sox placed 3B Pablo Sandoval on the 10-day disabled list retroactive to April 24, 2017. Right knee sprain. November 3, 2016 Boston Red Sox activated 3B Pablo Sandoval from the 60-day disabled list. November 25, 2014 Boston Red Sox signed free agent 3B Pablo Sandoval. October 30, 2014 3B Pablo Sandoval elected free agency. June 24, 2013 San Francisco Giants activated 3B Pablo Sandoval from the 15-day disabled list. June 21, 2013 Pablo Sandoval roster status changed by San Jose Giants. June 21, 2013 San Francisco Giants sent 3B Pablo Sandoval on a rehab assignment to San Jose Giants. June 11, 2013 San Francisco Giants placed 3B Pablo Sandoval on the 15-day disabled list retroactive to June 9, 2013. Left foot strain. 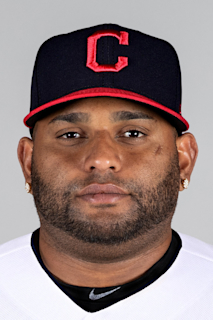 November 27, 2012 3B Pablo Sandoval assigned to Navegantes del Magallanes. August 13, 2012 San Francisco Giants activated 3B Pablo Sandoval from the 15-day disabled list. August 10, 2012 sent 3B Pablo Sandoval on a rehab assignment to San Jose Giants. June 9, 2012 San Francisco Giants activated 3B Pablo Sandoval from the 15-day disabled list. June 5, 2012 San Jose Giants sent 3B Pablo Sandoval on a rehab assignment to Fresno Grizzlies. June 2, 2012 Pablo Sandoval assigned to San Jose Giants. May 3, 2012 San Francisco Giants placed 3B Pablo Sandoval on the 15-day disabled list. Broken left hand. October 10, 2011 3B Pablo Sandoval assigned to Navegantes del Magallanes. June 14, 2011 San Francisco Giants activated 3B Pablo Sandoval from the 15-day disabled list. June 6, 2011 San Jose Giants sent 3B Pablo Sandoval on a rehab assignment to Fresno Grizzlies. June 3, 2011 Pablo Sandoval assigned to San Jose Giants. April 30, 2011 San Francisco Giants placed 3B Pablo Sandoval on the 15-day disabled list. Broken hamate bone in his right hand. October 7, 2009 1B Pablo Sandoval assigned to Navegantes del Magallanes.